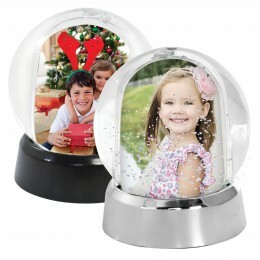 Item size: 4-1/4" x 6" x 4"
Pull the base off the bottom, insert your photos, push the base back on, and shake! What kind of water is inside the globe (where is it manufactured)? 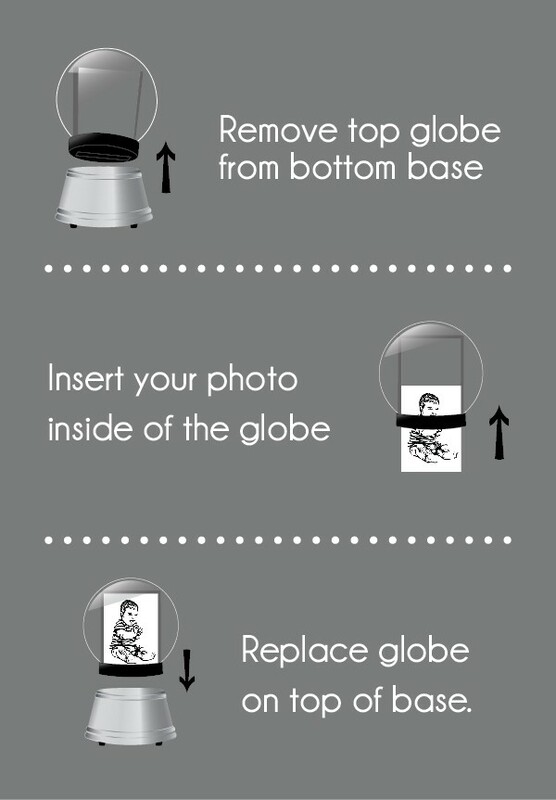 How do you get the photo in the globe without spilling the water out? How easily could a child spill the water out? What happens if a child drinks the water or eats the snow inside? 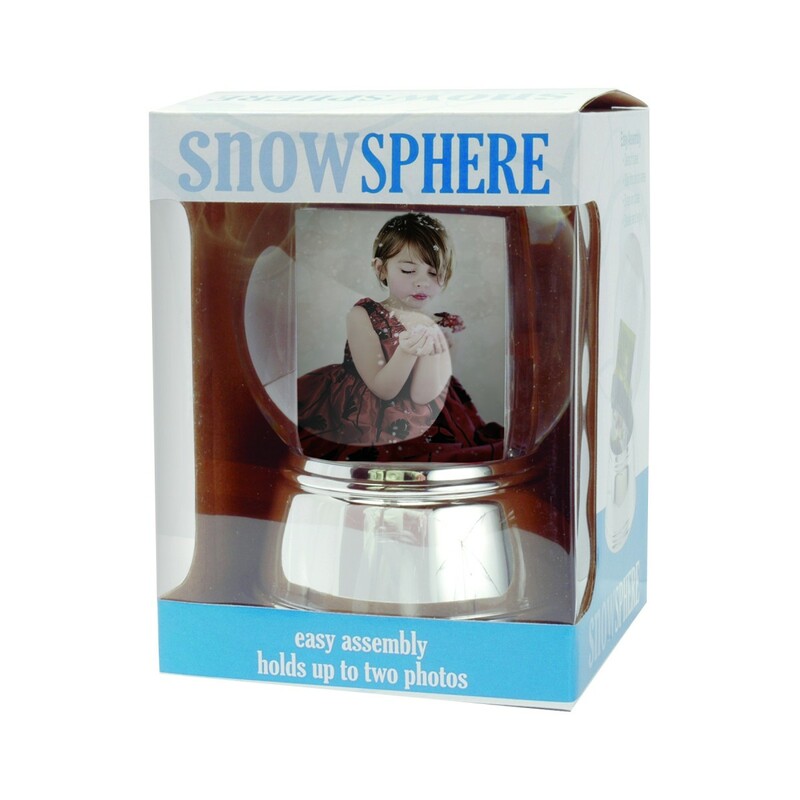 The snow globe contains distilled water and is manufactured in China. 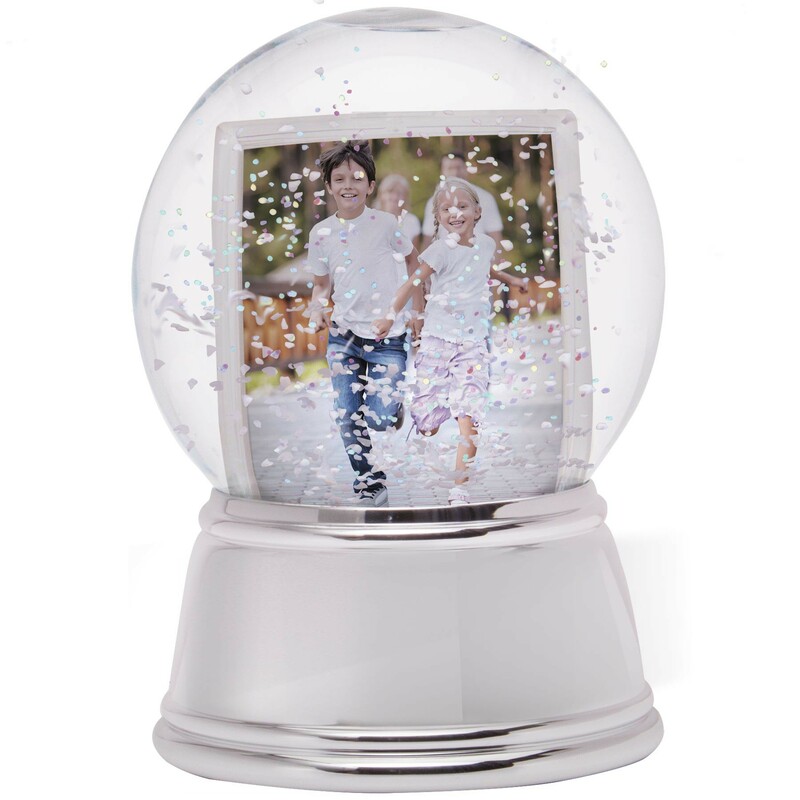 The water is tightly sealed into the top portion of the photo snow globe. 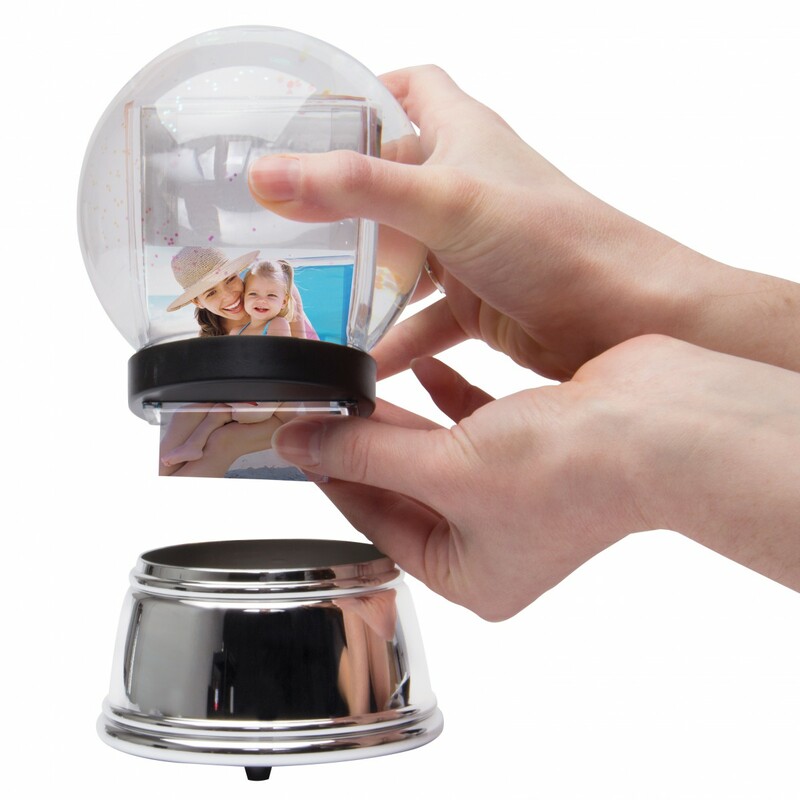 When you insert the photo, no water is exposed or spills out (see the picture of the item showing a photo being inserted for reference). It would be extremely difficult for a child to get access to the water inside. They would have to puncture the globe with a sharp object or remove the tiny plug. We have never had a child eat or drink the water inside the globe before. 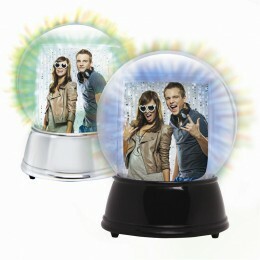 However, if this were to happen, we are NOT responsible in anyway and accept no liability. 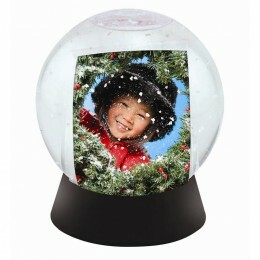 This snow globe is intended to be a decorative object for the home, not a children's toy. You're more than welcome to order a sample and try it out for yourself. Just give customer service a call at 1-800-621-5584.